Did you get Cinderella or the Step-sister? 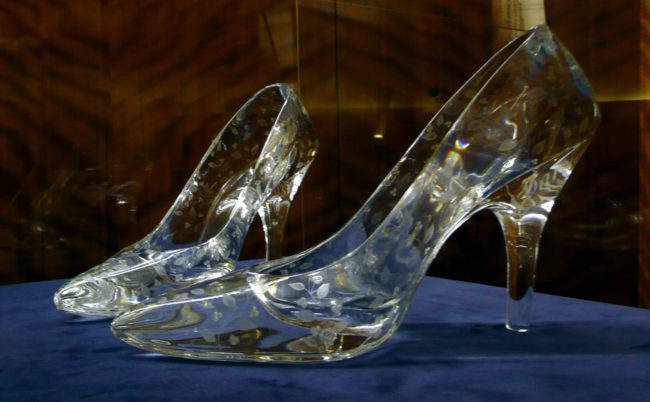 Too often, companies find themselves in the Cinderella story (non-Disney version) and they are riding off into the sunset before they realize they have the step-sister instead of Cinderella. These scenarios can be bad for the consulting group and the company that hired them. It is not fun being the prince who got tricked or the step-sister who got their foot in the slipper and still got dumped. Let me just spell it out, not all consulting groups are a good fit for every company. Yes, this includes our company TaskMark Inc. and even the big consulting groups. It is much better to be honest and have a successful engagement, instead of trying to fit into a mold that may not work out. I do believe that you can do anything given enough time and money, but sometimes it just doesn’t make sense to do it. All successful engagements have some common characteristics and number one on the list is the End Goal. Before you start looking for a consultant, define what the end result will look like and how you are going to measure progress along the way. If you know what the end goal is but are not sure how to measure progress, ask potential consultants how they would measure progress later as part of your selection process. Next, identify some key characteristics that the right consultant will have. A bit of research on their websites, LinkedIn, and other social media sites can help you weed out the potential candidates before wasting time talking to them. When you start talking to consultants be sure to ask the consultant what their expectations are as well. This helps both parties to define the Scope of the project and sets expectations even before any agreements are signed. Plus, if you can’t reconcile their expectations with yours it should be a warning flag. Ask what they CAN NOT do for you. Ask for and verify experience level. If they are comfortable working on a project like this, then ask for samples of previous work. About experience with your software platforms, especially if this project deals with your EMR, ask for examples. Not working in Healthcare before is a big flag on an EMR project. Examine experience with companies similar to yours. Ask why they were a good fit to work with that company, then ask for the references. Ask what their typical engagement looks like, relate this to the previous questions if relevant. Once you have the field of prospects narrowed down, if you still don’t have a comfort level you can always follow up on the references. LinkedIn is also a good place to look at experience levels etc. for independent consultants. Include communication skill in your evaluation. If you are working with a small firm or independent consultant this may be a moot point but should be considered. If you are dealing with a sales rep for a firm, it is a good idea to speak to some of their potential technical resources. This allows you to evaluate their communication skills and how they will fit with teams. They should be able to understand the technology, communicate effectively and work well with others. You do not want to bring in consultants with attitude problems, which can quickly spread to the rest of the team and derail a project. Do not limit this to just tech talk. For instance, when working in Healthcare there is a vocabulary that is not used in other industries. Bring up subjects like PACS, DRG, CPT, ACA, etc. whatever is relevant to the Healthcare project. Getting the right consultant the first time saves you money. Why do you hire healthcare consultants in the first place? To save time and money. Hiring a Consultant is cheaper and faster than hiring, training, and retaining full-time staff to cover every possible need. These steps can add some time to that selection process, but it should help to find Cinderella the first time, instead of riding off with the step-sister and wasting time and money. We Hope you always ride off into the sunset on your way to a successful project engagement. This is by no means an exhaustive list. If you have other tips we would love to hear them, please share them in the comments. Do IT Services Make Sense For You?